A stroke is a condition in which poor blood flow to the brain results in cell death. There are two main types of stroke: ischemic, due to lack of blood flow, and hemorrhagic, due to bleeding. They result in part of the brain not functioning properly. Signs and symptoms of a stroke may include an inability to move or feel on one side of the body, problems understanding or speaking or loss of vision to one side There is no known cure for chronic neurological deficits due to stroke. Treatments should start as soon as possible after a stroke. Physical therapy can help with people's ability to function. 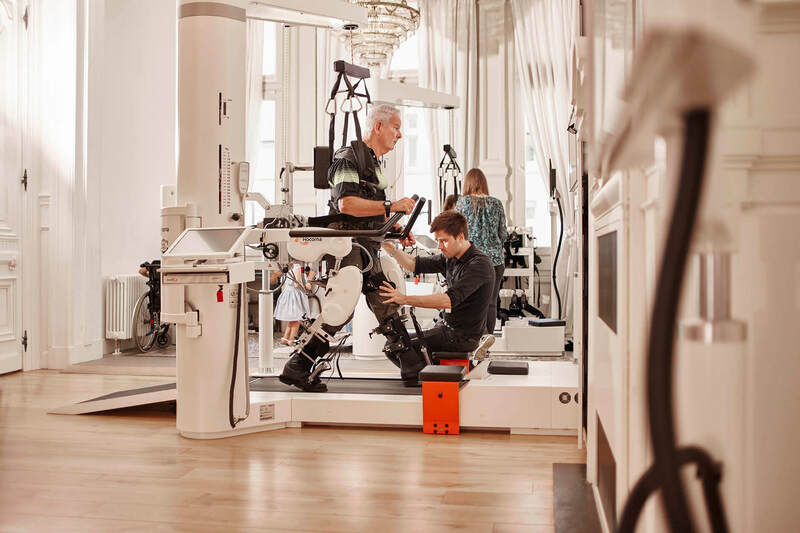 TRAINM’s goal for stroke rehabilitation is to return patients to normal life as much as possible by regaining and relearning the skills of everyday living. It also aims to prevent secondary complications.